First Women’s Circle of the year!! 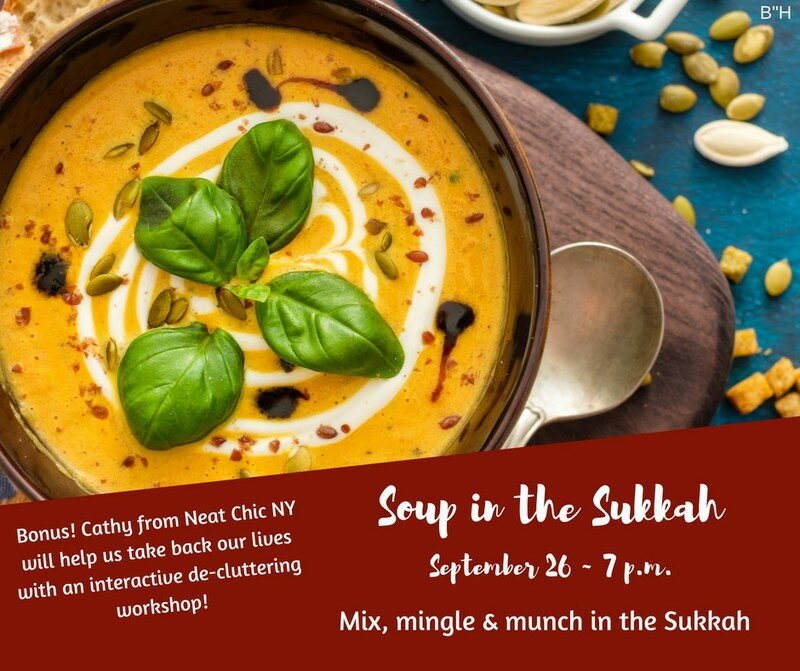 Mix & mingle in the Sukkah while enjoying delicious soups. Sample a wide array of hot and cold flavorful recipes. Bonus! Cathy from Neat Chic NY will help us take back our lives with an interactive de-cluttering workshop! I am a member for 2018-2019!